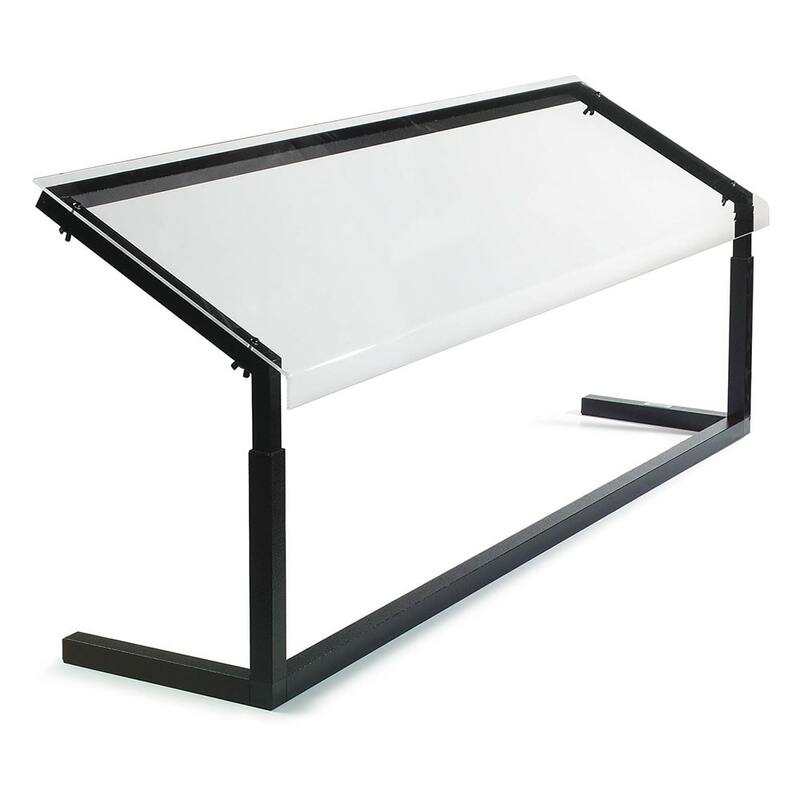 Keep debris and germs from contaminating your food bar with this adjustable 60 inch sneeze guard from Carlisle. This food bar sneeze guard is adjustable and designed to fit five-star buffet bars. Its clear acrylic window allows your patrons to easily view your food selection, while protecting food pans from coughs, sneezes, and debris. The sneeze guard is single-sided for easy cleaning and the frame is black which gives it a professional look and hides dents, scratches, and fingerprints. This 60 inch sneeze guard kit includes a chain and hardware for easy mounting. Keep your foods pretty and protected with this sneeze guard!